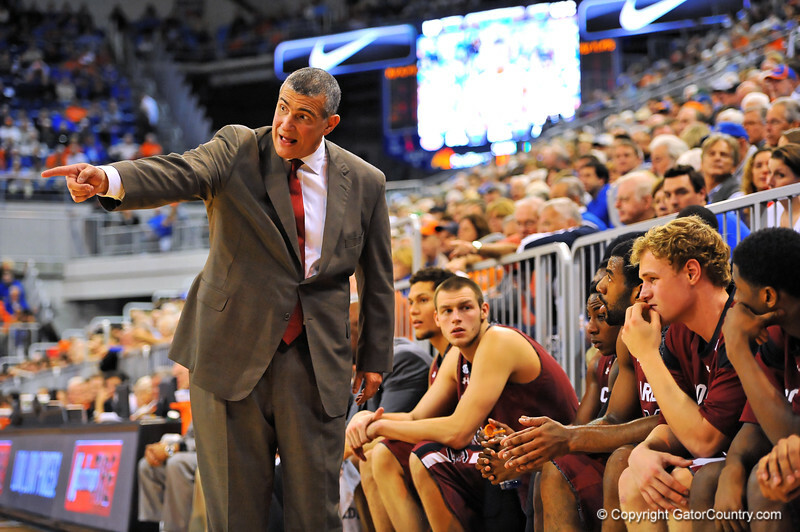 South Carolina head coach Frank Martin has some words for his team. Florida Gators vs South Carolina Gamecocks. Gainesville, FL. January 8, 2013. Gator Country photo by David Bowie.